But he also turns deserts into pools of water, the dry land into springs of water. 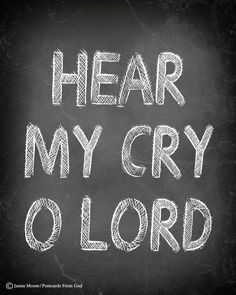 Merciful God: You hear the cries of the lost and attend to their needs. Samaritan’s Purse: distributing food supplies to those fleeing the war in Mosul. + Hear the cries of the lost and homeless; use us to attend to their needs. + Hear the cries of the hungry and thirsty, those near death; use us to attend to their needs. + Hear the cries of the wandering, empty souls among us; use us to provide the Good News that You alone can fill the deep longing of their hearts. Lord Jesus: Move Your people out into the world to make disciples and to love and serve You. + Give us Your mind, that we may see the world around us as You see it. + Give us Your heart, that we may be filled with Your compassion for the least and the lost. + Give us Your Spirit, that we may act boldly in Your name – knowing what to do and when to do it. Thank You, Lord, for Your presence with us – may we do one thing today, outside of our comfort zone, that honors You in response to the leading of Your Word and Spirit. Amen.